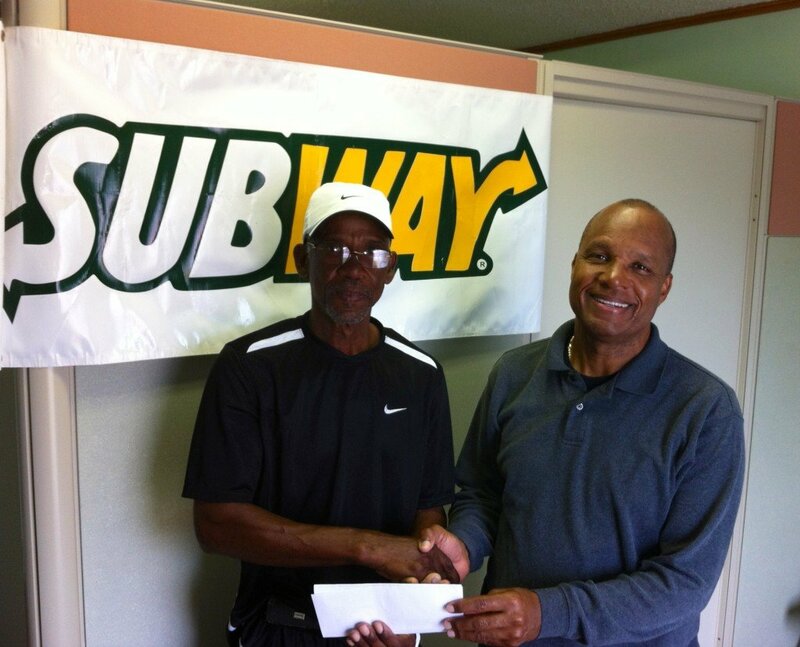 SUBWAY owner, Shuffel Hepburn presents tournament director and Coach Gully Bowe, with a check for the sponsorship of the 8th annual SUBWAY Junior Tennis Tournament. SUBWAY owner Shuffel Hepburn is pleased once again to lend a hand in the sponsorship of this tournament as it positively affects the development of young people in the country. The tournament is set for the 22nd of February to the 24th at Lucayan Bath & Racquet Club and Coach Gully expects this tournament to be a very competitive one with juniors from Nassau, Eleuthera & Grand Bahama participate. Entry forms may be collected from Gully Bowe at Lucayan Bath & Racquet Club. Entry Deadline: Wednesday, 19th. February 2013 at 8 pm. Entry Fee: Singles $20. Doubles $10. Per player. All players must play their age group in singles. Players are not permitted to play more than 3 events (including singles). All players must be members of the BLTA* *Minimum of 4 entrants for a divisional draw. BLTA SANCTIONED RULES APPLY.